Aston Martin has been to the brink of bankruptcy more than a few times in its 100-year history. Andy Palmer, the automaker's new chief executive, wants to get the car maker back on solid ground for good. A vital piece of the puzzle is the company's deal with Germany's Daimler (DDAIF), the parent company of Mercedes-Benz and Smart, which owns a small stake in Aston. Daimler is developing engines and electronics for the legendary sports car maker. 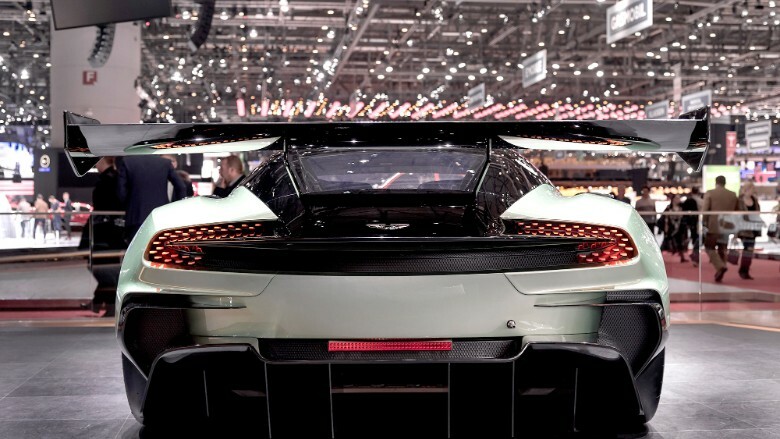 That frees up Aston Martin to focus on other things, like the smokin' hot designs it unveiled at the Geneva Motor Show. 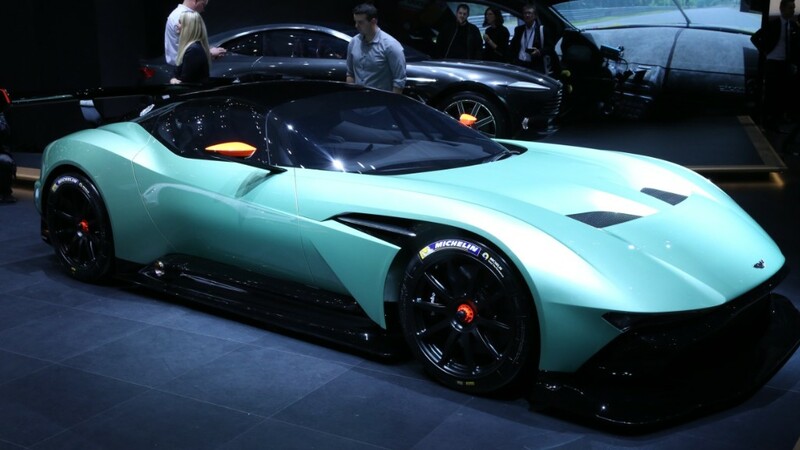 The Aston Martin Vulcan is powered by a 7-liter V12 engine designed to produce something over 800 horsepower. It's engineered for the track, not the street, and only 24 will be built, selling for well over $2 million each. The Vulcan's body is made entirely from carbon fiber. 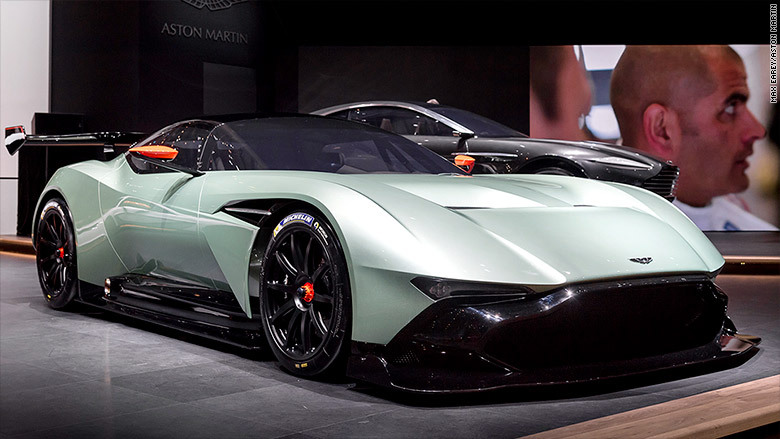 The design is extreme but, according to Aston Martin, it contains elements that will appear in more mainstream Aston Martin cars coming in the future. Of course, it's hard for a car company to survive by selling only expensive sports cars. Aston needs to branch out, Palmer admitted. 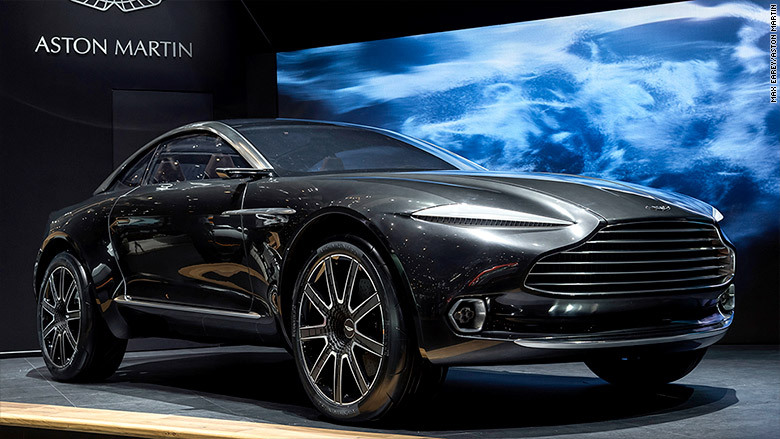 That was the point of Aston Martin's other major unveiling in Geneva, a crossover concept vehicle called the DBX. The DBX is a two-door machine with a coupe shape that barely looks like a crossover SUV at all. In fact, it looks almost like a slightly inflated sports car. In case you haven't noticed, crossover SUVs are the automotive industry's current addiction. And for good reason. The public's appetite for them is insatiable no matter the size, no matter the price. 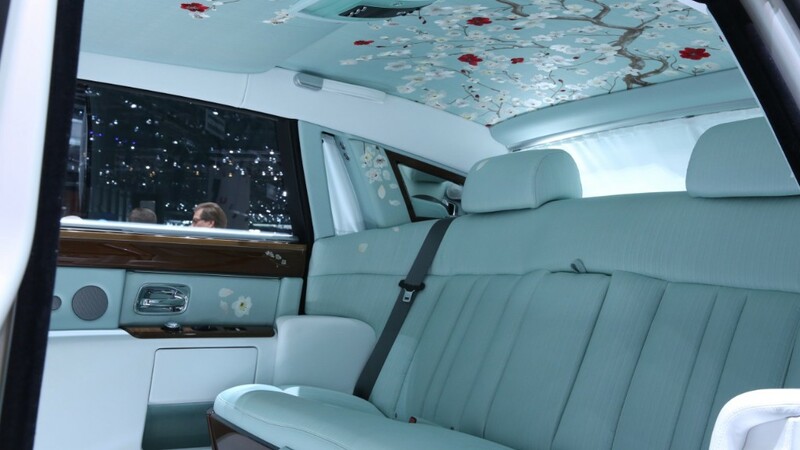 Not only is Aston working on one, but so is Bentley, Rolls-Royce, Lamborghini and Maserati. The concept version of the DBX also happens to be an all-electric plug-in vehicle. That's remarkable since rumbling, chest-rattling engine sound is crucial to the Aston Martin experience, Palmer said. But a model line-up full of burbling V12s and V8s won't meet new emissions requirements in Europe. So Aston may make emission-free all-electric vehicles in order to average things out. 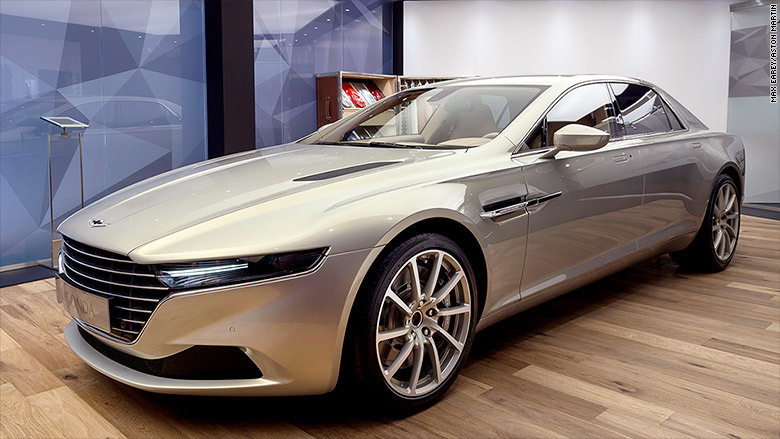 Also in Geneva, Aston Martin displayed a four-door Lagonda sedan that the company hopes will broaden out the appeal of its brand. The Lagonda isn't available in the U.S. yet, but it will be at some point. Even though Aston Martin plans to sell crossover SUVs and full-sized sedans, it's the sport cars that will always define its brand, Palmer insisted.